Massenet’s lush, romantic setting of the time-honoured French tale of Manon is given a lavish treatment in this sumptuous yet stylish production. The journey of impetuous anti-heroine Manon from rags to riches and back again is enhanced by stunning costumes and an abundance of gorgeous singing. Laurent Pelly’s 2010 staging is on a grand scale, and yet the production elements never threaten to overwhelm the human story of love, desire and regret. Chantal Thomas’ sets are all broad planes and tilted angles, with a generally colour-free aesthetic. This allows the beauty of the delicious costumes, by Pelly and Jean-Jacques Delmotte, to stand out clearly and attractively. 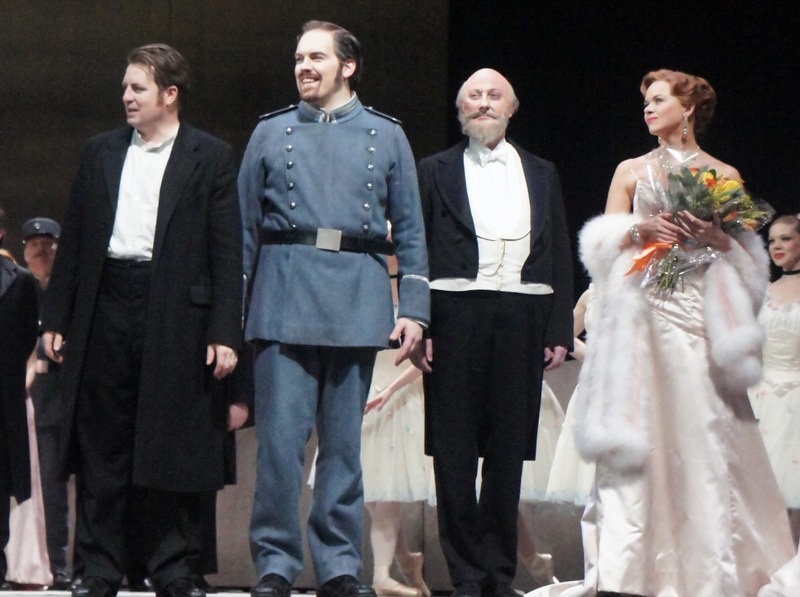 Highlights for Manon are her tight hot pink shoulder-less silk dress, and her infinitely feminine pale pink and white gown with billowing ruffles and fluttering feathered hat. Revival director Christian Räth keeps passion high and storytelling crystal clear, providing welcome moments of amusement with touches of humour along the way. Maestro Emmanuel Villaume leads Orchestra of the Royal Opera House in bringing out the full pomp and colour of Massenet’s music. Chorus preparation by Renato Balsadonna is excellent, with vocal dynamics detailed and diction clear. Albanian soprano Ermonela Jaho holds a special place in the affection and admiration of Man in Chair. At a performance of La Traviata at Royal Opera House in January 2008, to the horror of the capacity audience, Jaho was announced as a replacement to Anna Netrebko, who had opened the season in the performance before this one to incredible raves for her Violetta. 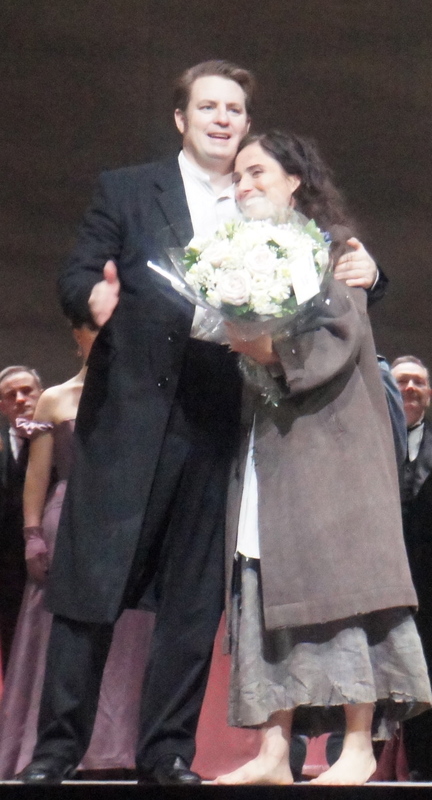 Much as we still had Jonas Kaufmann and Dmitri Hvorostovsky as Alfredo and Giorgio Germont, the loss of Netrebko was keenly felt by all. Jaho began with a slight degree of trepidation, understandably, but grew in confidence across the night, eventually scoring a triumph with the enraptured crowd. And the rest, as they say, is history. A highly skilled actress, Jaho conveys the full emotional and psychological journey of Manon. Her petite frame also assisting her in portraying the plucky yet vulnerable young woman. Jaho performs the work of half a dozen sopranos as she captures the full range of emotion and styles involved. 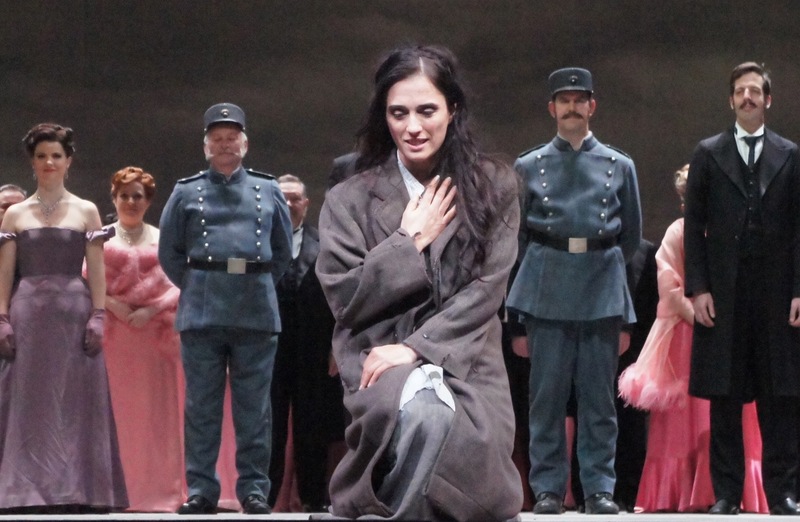 Jaho begins with the young, wide-eyed Manon, freshly arrived in Paris, in “Je suis encor’ tout étourdie.” Living in a garret with Des Grieux but secretly seeing a wealthy man, Jaho shows the tormented Manon with “Adieu, notre petite table.” At the beginning of act three, Jaho shows the slyly coquettish side of the wealthy, bejeweled Manon in “Je marche sur tours les chemins” and the Gavotte Scene. Jaho adopts a fervently passionate pianissimo for “N’est ce plus ma main?” when reuniting with des Grieux at Saint-Sulpice. 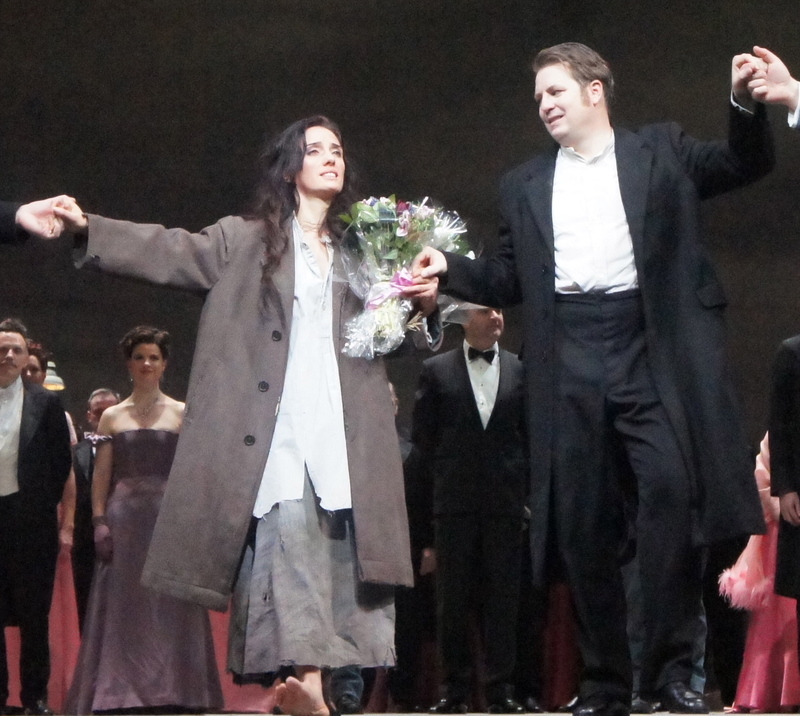 Jaho portrays a mature, sensual Manon in act four, before ending with the weary, broken Manon in act five. 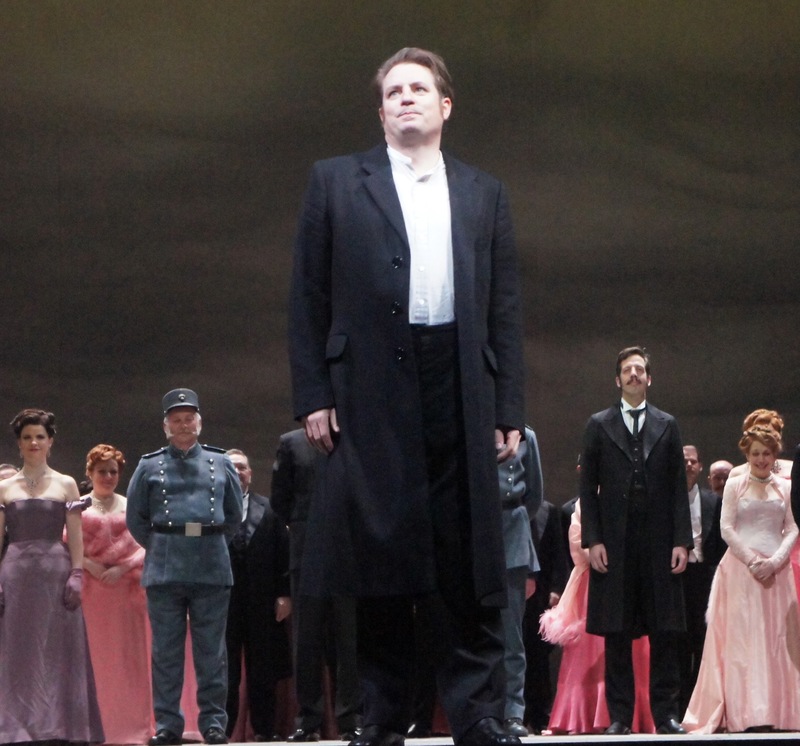 American tenor Matthew Polenzani brings an ardent fervour to his work, convincingly portraying the rapid passion that develops between des Grieux and Manon. 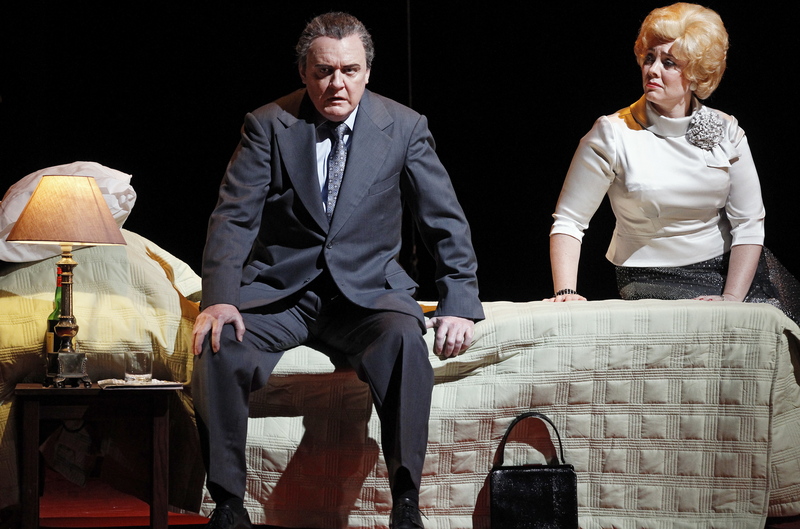 While Jaho and Polenzani do not begin with the requisite chemistry to sell the love affair, their passion grows in “N’est ce plus ma main?” after Polenzani’s sterling delivery of “Ah! Fuyez, douce image.” Ultimately, the pair do not have the electricity to convincingly pull off the epic love story, much as each of their individual performances is strong. 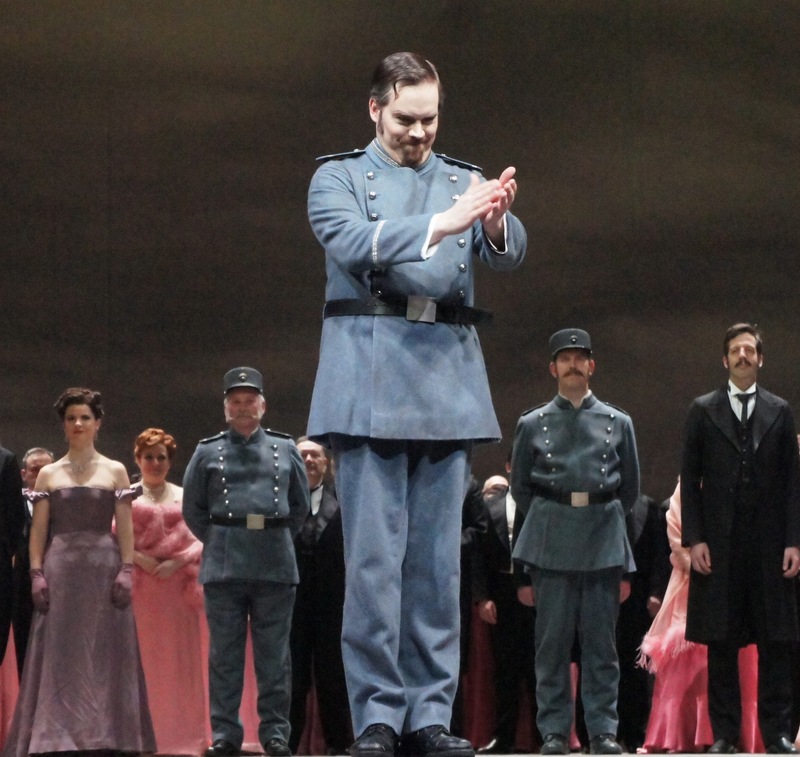 Fine young baritone Audun Iversen is an enthusiastic and virile Lescaut. 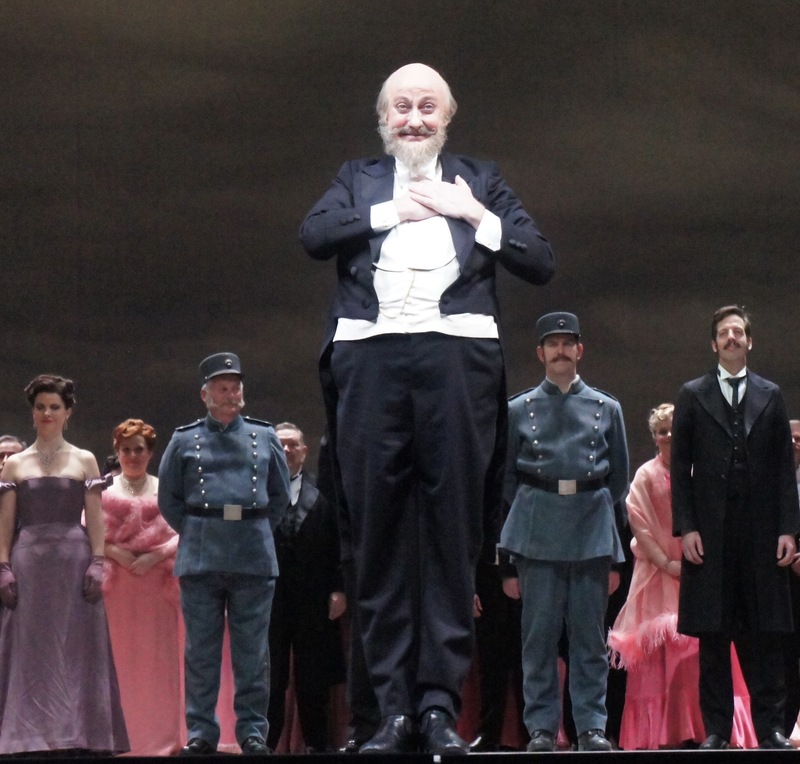 Strong bass Alastair Miles brings the necessary gravitas to des Grieux’s contemptible father. With its melodious music, beautiful production and fine singers, Manon has all the ingredients of a grand night at the opera. 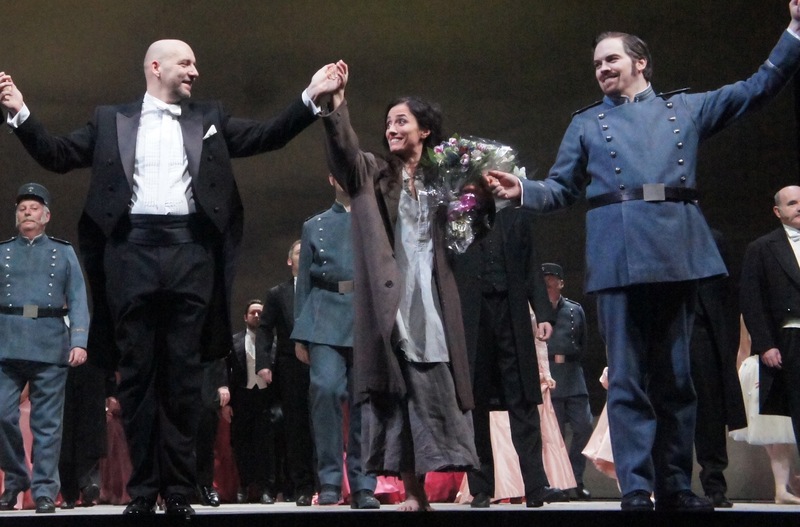 Manon was reviewed on 14 January 2014, the opening night of this season. 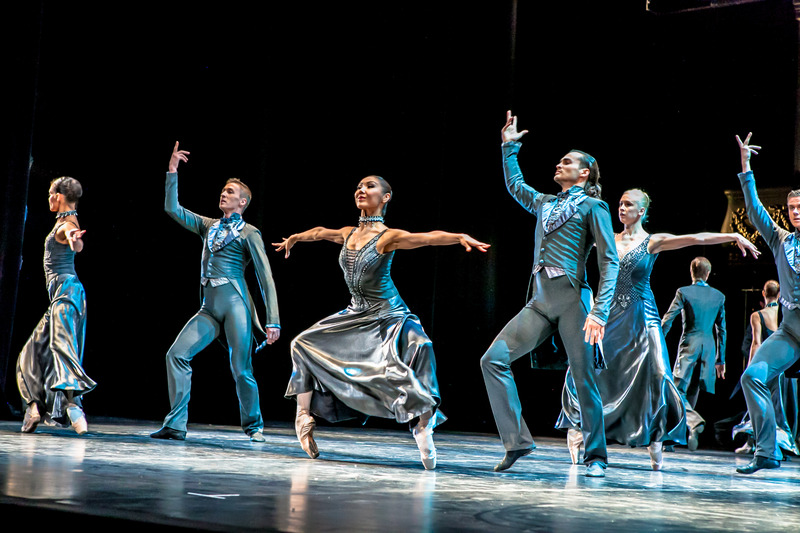 Performances continue until 4 February 2014 at Royal Opera House, Covent Garden. To view production images, click HERE. 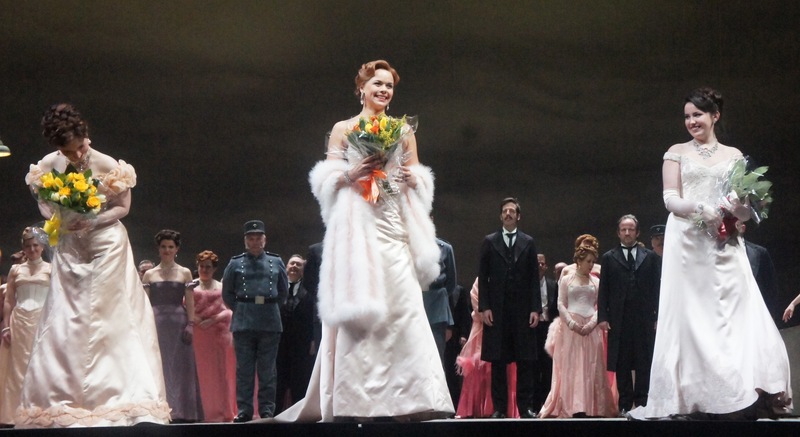 This production of Manon was previously reviewed at the Metropolitan Opera starring Anna Netrebko.